Judge Vladimir Yaneva and lawyer Momchil Mondeshki have been asked “from high up” to organize a meeting with the trustees of now-collapsed Corporate Commercial Bank (CCB). This is becomes evident from a new conversation from the “Yaneva Gate“, which marks the start of the fourth season of the saga. The conversation happens while the other former judge – Rumyana Chenalova – is out of the room. She had left to receive the notorious “red folder” that Yaneva, on the advice of Mondeshki, told her driver to remove from her office and deliver to her home address. At the end of the segment, one can hear Rumyana Chenalova coming in and making some noise in the hallway. Yaneva and Mondeshki are obviously concerned about the dried up interest on the part of “Delyan” and those “high up“. If indeed the CCB trustees, who are appointed by the court, had to be brought up in advance, seen and approved by Delyan, this reveals the sinister dependencies in the back stage and oligarchic-mafia system in Bulgaria. The mandatory prosecution of such cases is unthinkable, given the fierce resistance of Prosecutor General Sotir Tsatsarov and the close to him Supreme Judicial Council (SJC) members against any attempt to investigate the scandalous recordings. Mondeshki’s hypothesis is that lawyer Ivan Todorov, who “visits those high up very often”, has been chosen as a mediator. Todorov’s name emerged in an earlier conversation from “Yaneva Gate”, where we learned that arbitration attorney Ivan Todorov has acquired the privilege of “going high up there constantly” i.e. to visit Delyan, after winning a lawsuit of Bulgaria’s telecom BTC against the Privatization and Post-Privatization Agency (APCE) before the arbitration in Paris. Approached by Bivol, attorney Todorov categorically denied these allegations. The conversation about Delyan and the trustees reveals in black and white who and how uses the assets of CCB, while the Deposit Insurance Fund receives symbolic sums of money. Subsequent facts clearly prove that companies associated with Peevsky are benefitting from the money they have taken from and failed to repay to CCB. Following the bankruptcy, CCB is managed by the Bank Deposit Insurance Fund through trustees. 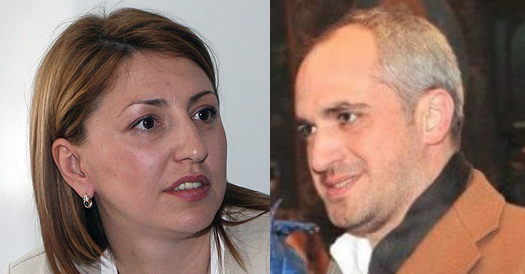 An investigation of Capital daily revealed that one of the trustees, Cristie Marinova, has worked for the convicted for accounting fraud Momchil Mondeshki. At the same time, part of the assets, pledged in CCB, go precisely to Mondeshki, who is also known to be close to Delyan Peevsky. The control over the trustees had been the subject of a dispute between Prime Minister Boyko Borisov and Delyan Peevsky, it emerged from another conversation from “Yaneva Gate”/see here/. Mondeshki: Has someone talked to you recently about CCB? Honestly, tell me? Mondeshki: Yes. They asked me before to do this; they stopped asking. Yaneva: So you think that… what do you think? Yaneva: Well, what do you think? Mondeshki: Ivan Todorov very often goes up there.